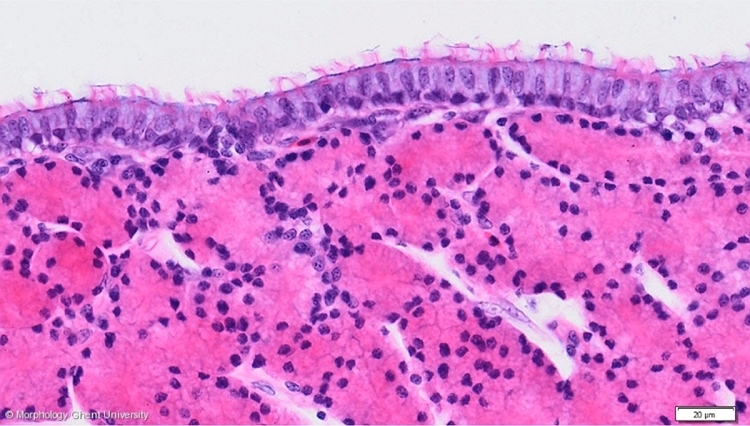 On this micrograph, the glands are in the secretion phase, just before egg passage: the nucleus is lying basally and is pyknotic. The cytoplasm stains strongly eosinophilic due to the presence of many granules. The lumen and the lining between the cells is hardly visible.